I saw a joke on an American late-night show about that Germans fold their toilet paper. I got confused. As a German myself I thought "Wait what? What's wrong with that?" and I assumed North Americans use single sheets of toilet paper. But recently I watched an episode of "F is for Family" where workers at an airport complain about having to use single sheets. Is it common practice in North-America to use several sheets of toilet paper at once? If yes, why would the joke be funny? The debate is between folding it or crumpling it, it is not about the number of sheets. A single sheet would be inadequate in most cases in either form. I know this is a strange question. Heck, you may have never even thought about it before. However, when watching TV with the German boyfriend recently, a show mentioned that different cultures have different methods for using toilet paper. 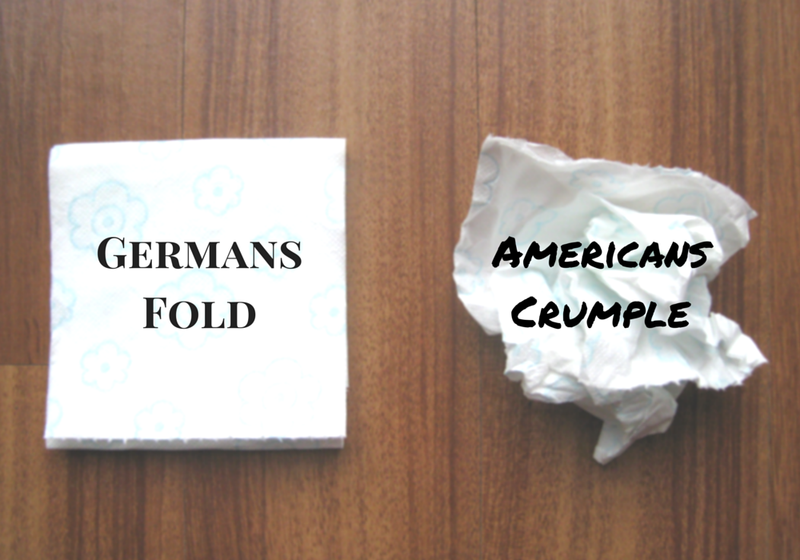 In particular, they said that Germans fold and Americans crumple. Folding versus crumpling. Overall almost 50% more people fold their toilet paper rather than crumple it. Age increases the chance you will be folding rather than crumpling. Women are significantly more likely than men to crumple than fold. Spending more time in the bathroom increases the chances of you crumpling versus folding. Must Read: The 3 Types of Toilet Paper Users: Which One Are You? Not the answer you're looking for? Browse other questions tagged germany local-customs north-america toiletries or ask your own question. OK we're all nerds here, so really, how on earth should I use a Japanese toilet? How to use Turkish toilet tap? How on earth can I use a Canadian toilet without splashing myself? Why did this particular Czech toilet have no paper?